The promise of eternal life doth, in like manner, comprehend the promise of perseverance in grace, to be conferred on all the covenant-people, being justified, new-related to God, and sanctified; so that, being once brought into the state of grace, they shall never fall away from it totally nor finally. This promise we have, Jeremiah 33:40, “And I will make an everlasting covenant with them, that I will not turn away from them, to do them good; but I will put my fear in their hearts, that they shall not depart from me.” Here they are secured on both sides; that God will never cast them off, and that they shall never desert him. And that this benefit is included in the promise of eternal life, is clear from the apostle's adducing this last to prove it: Hebrews 10:38, “Now the just shall live by faith.” Such is the malice of Satan, and the advantage he hath against the saints in this life; so manifold are the snares for them in the present evil world; such a tender bud of heaven is the implanted grace of God in them; and so corrupt, fickle, and inconstant are the hearts of the best, while here; that if their perseverance had not been secured by promise in the covenant, and left to the management of their own free will, they would have had but a sorry restoration of it into the state of grace; much as if they had got a spark of fire to keep alive in the midst of an ocean. At that rate they might all have perished; and Jesus Christ, notwithstanding of the shedding of his blood for them, might have eternally remained a head without members, a king without subjects. But the glory of Christ, and the salvation of his redeemed, were not left at such uncertainty. That perseverance which the first Adam failed of, and was made the condition of the second covenant, the second Adam did undertake in their name: and thereupon was made the promise of their perseverance. And he having accordingly persevered unto the end, in obedience to the law for them, being obedient even to the death, it was purchased for them. Thus Christ's perseverance in obedience to the law, till the condition of the covenant was perfectly fulfilled, is the ground in law upon which the perseverance of the saints is infallibly secured, in virtue of the faithfulness of God in the promise. Now, this promise begins to be performed to them, as soon as they are united unto Christ; and it goes on all along, until their death, that they enter into glory: yea, strictly speaking, death is not the last, but a middle term of their perseverance; after which it proceeds far more illustriously than before. Upon their union with the second Adam, being savingly interested in his obedience which he persevered in unto the end, they are confirmed, that they can no more fall away: even as the first Adam's natural seed would have been confirmed, upon his having completed the course of his probationary obedience, and fulfilling the condition of the covenant of works. The mystical members of Christ do then obtain the former, as the reward of his continued obedience; as in the other supposed event, Adam's natural seed would have obtained the latter, as the reward of his continued obedience. The promise of the perseverance of the saints, seems to be grafted upon the promise of assistance made to Christ in his work. The Father promised to him, that he would uphold him, so as he should not fail, Isaiah 42:1,4. The which promise being made to him as a public person, carries along with it the preservation and support of his members, in all their temptations, trials, and dangers of perishing; insuring the safe conduct, as of the head, so of the mystical members, through this world, till they be out of the reach of danger. Now, of the promise of perseverance there are two chief branches. 1. A promise of continued influences of grace, to be from time to time conferred on them, being once brought into a state of grace: Isaiah 37:3, “I will water it every moment.” Their stock of inherent grace would soon fail, if they were left to live upon it, without supply coming in from another hand; of itself it would wither away and die out, if it were not fed, Luke 22:32; John 15:6. Innocent Adam had a larger stock of inherent grace than any of the saints in this life, and yet he lost it. But the grace of God in believers cannot be so lost: for, in virtue of the promise, there are continued influences secured for them; namely, preserving influences, whereby grace is given, is kept from dying out, that as they are sanctified by God the Father, so they are preserved in Jesus Christ, Jude 1; exciting influences, whereby the grace preserved beginning to languish, or being brought low by the prevailing of corruption and temptation, is stirred up and put in exercise again; and strengthening influences, whereby the grace excited, is increased, and gathers more strength, to the overtopping of corruption, and repelling of temptation: Hosea 14:7, “They shall revive as the corn, and grow as the vine.” Accordingly, their faith is never suffered to fail totally, but is preserved, excited, and strengthened; and all the other graces with it, and by it. And this is brought to pass, through the communication of new supplies of grace to them, by the Spirit, from Christ their head, from which all the body having nourishment ministered, (namely, through the supply of the Spirit, Philippians 1:19) increaseth with the increase of God, Colossians 2:1. 2. The other chief branch of this promise, is a promise of pardon, continued pardon for the sins of their daily walk; whereby emergent differences betwixt God and them, come to be done away from time to time, so that a total rupture is prevented: Jeremiah 33:1, “I will pardon all their iniquities.” Howbeit the justified have, as to their state, no need of a new formal pardon, but only of a manifestation of their former pardon; since the pardon given in justification is never revoked, though by means of their after sins they may lose sight of it: yet as to their daily walk, they have great need of a formal pardon; forasmuch as they are daily contracting new guilt: John 13:10, “He that is washed, needeth not, save to wash his feet.” For howbeit no sins of the justified can bring them any more under the guilt of eternal wrath; nevertheless they do bring them under the guilt of fatherly anger, Psalm 89:30, 31, 32. And therefore they need to pray every day, Our Father, forgive us our debts. This pardon is given them, upon their renewed actings of faith in Jesus Christ, and of repentance towards God; yet not for their believing and repenting, but for Christ's sake, even as the first pardon is given, 1 John 2:1, 2, and 1:7. Applying the blood of Christ afresh to their souls, they are anew moved to repentance, turning from their sins with hatred of them, sorrow, shame, and self-lothing for them. Looking by faith on him whom they have pierced, they mourn in renewed repentance; and so receive this pardon. For although repentance doth not go before, but follows after the pardon of sin in justification; yet not only faith, but repentance also, goes before the pardon given to those already justified: 1 John 1:7, “If we walk in the light, as he is in the light, we have fellowship one with another, and the blood of Jesus Christ his Son cleanseth us from all sin.” Verse 9, “If we confess our sins, he is faithful, and just to forgive us our sins, and to cleanse us.” Therefore we are ordered to pray thus, “Our Father, forgive us our debts, as we forgive our debtors,” Matthew 6:9, 12; to teach all the children of God, that if they would have their Father's forgiveness, they must in the first place forgive others: which is yet more clearly intimated, Luke 11:4, “And forgive us our sins; for we also forgive every one that is indebted to us.” But the matter is not so stated, with respect to the pardon of sin in justification; but that pardon is the spring of our forgiving others, Matthew 18: 32,33. For our hearty and acceptable forgiving of others, proceeds from true Christian love to our neighbour; and that flows from love to God; the which is kindled in our hearts by God's pardoning grace to us, Luke 7:47; Ephesians 4:32. 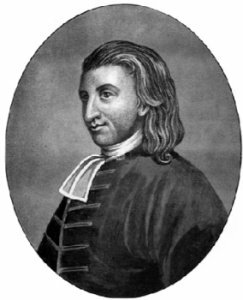 The reason of the difference lies here, the unjustified sinner is under the guilt of revenging wrath, which seeks not the amendment, but the destruction of the guilty: wherefore till once it is removed, there can be no true evangelical repentance, no acceptable amendment, in the sinner; these being really a restoration of him to life, incompatible with a legal destination of him to destruction. But the justified saint is only under the guilt of fatherly anger, which seeks not the destruction, but the recovery and amendment of the guilty: and therefore it is not removed until he repent, turning from his sin unto God in an acceptable manner; and that is the very amendment God seeketh in shewing his anger against him, as in the case of David, and of Peter. And thus are the saints caused to persevere in grace, both real and relative. The promise of continued influences secures not only the preservation, but the renewed exercise of their grace, particularly of their faith and repentance: and the promise of continued pardon to them believing and repenting, secures the removal of the guilt of fatherly anger. The Spirit of Christ ever dwells in them, and so continues an inviolable bond of their union with him; and dwelling in them, he recovers them when they are fallen, stirs up the holy fire of grace lying hid with ashes of corruption. Then the withered hand of faith is again stretched out; and the man believes the promise of the pardon of guilt of eternal wrath, as to all his sins; this melts his heart in kindly repentance; and so he believes the promise of continued pardon, as to fatherly anger, with respect to the sins the causes of God's present controversy with him, and obtains pardon accordingly. By these means, matters are always kept from coming to a total rupture. From “A View of the Covenant of Grace” by Thomas Boston.